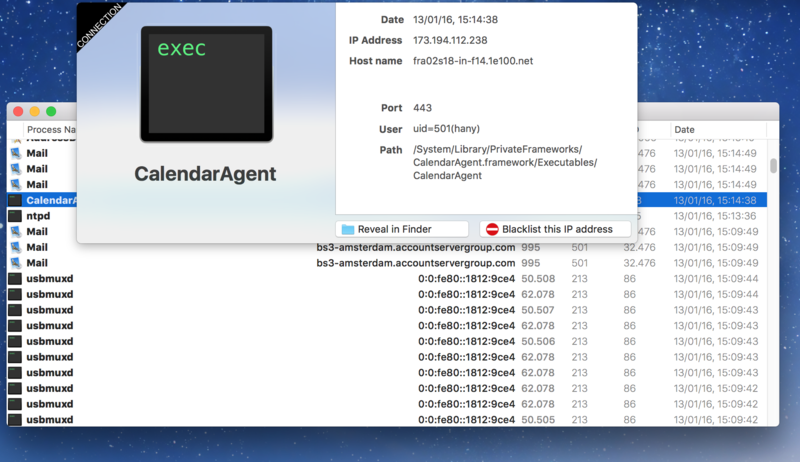 Vallum, the new application firewall for OS X, is here. Now for everyone. Vallum 1.0 beta 4 is now available for testing to everyone. No changes since beta 2 and 3, we are still working hard and we are not ready to ship new features yet. However this Vallum beta does not need Murus Pro to be installed any more. This release will expire May 1. Please read included documentation before installing and using Vallum. To upgrade from Vallum 1.0 beta 2 or beta 3 simply quit the old Vallum and copy the new icon over the old one. Does this block any applications by default? It looks like it summarizes what's happening well, but that I must go into connections to review what has been going on to figure out what to block? Maybe I'm not understanding it well yet. It looks like it summarizes what's happening well, but that I must go into connections to review what has been going on to figure out what to block? yes, current version of Vallum does not allow to choose whether to block an app or not interactively. What you can do is blocking an app dragging its icon from the Finder to the Vallum window or, if the app is already listed as passed then just select it and click the locker to block it. By default this version of Vallum removes passed apps from main window very quickly, but you can change this behavior in Vallum preferences to make them persistent. Hello hany, thanks for providing this beta release! I've started to experiment with it. How would you like to receive reports of bugs and/or feedback? Through this post or do you have another forum for it? thank you for helping us testing Vallum. We will add a new dedicated section of this forum for Vallum in the near future, however for this beta we can use this forum thread. Today Vallum 1.0 private beta 2 expires. We are working hard at both Murus and Vallum, but today we are not able to release new features yet. For this reason Vallum 1.0 private beta 3 will be exactly like private beta 2, no new features, no changes at all. We have just put a new expiration date. Vallum 1.0 private beta 3 will expire March 1, 2016. Tomorrow Vallum 1.0 private beta 3 expires. We are working hard at both Murus and Vallum, but today we are not able to release new features yet (again). For this reason Vallum 1.0 private beta 4 will be exactly like private beta 2 and private beta 3, no new features, no changes at all. We have just put a new expiration date and, for the first time, Vallum can be installed and used by everyone, not only Murus Pro users. Vallum 1.0 private beta 4 will expire May 1, 2016. Ok, forget Vallum as you know it now because it is no more than a proof of concept. Vallum 1.0 private beta 5 is coming. It's been rewritten from scratch, it has different features and logic. The new Vallum lets the user choose between different levels of verbosity and interaction. 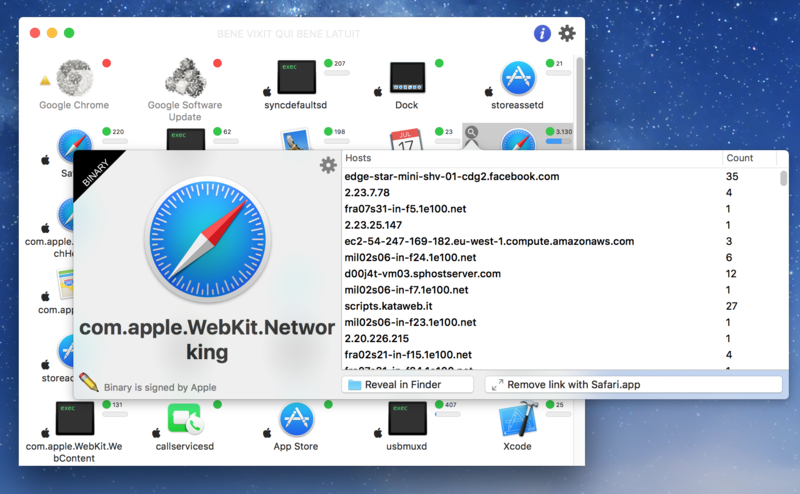 It is still possible to make it act like the 'old' Vallum, silently, showing only passed and blocked apps in main window, but it is also possible to enable notification alerts that intercept apps connections and let you choose to pass or block them on the fly. So if you like those popups that alerts you whenever an app tries to connect just enable Vallum notifications. You have several ways to limit verbosity defining rules in Apps window, Exclusions window and Notification alerts. The new Vallum also improves the interaction with Murus. Notification alerts allows the user to manage a connection at both application- and network-level with Murus pf custom rules. Vallum aims at being easy and friendly, so default configuration is unchanged. However you can now choose between different presets with different attitudes and you can build your custom presets list like in Murus. Location awareness is already implemented, so you can have Vallum automatically switch between custom presets should you switch OS X network location. The new Vallum private beta will be available to all Murus Pro users next week. Stay tuned! This thread has been moved from Murus board.